Shout! 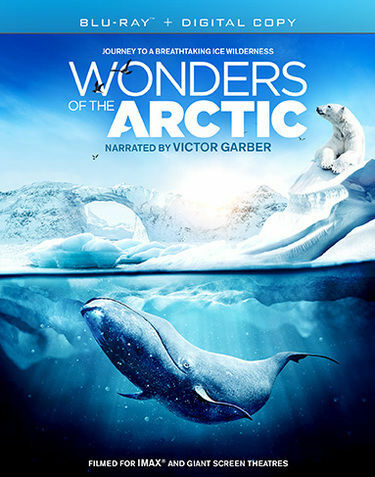 Factory gave audiences an early taste of winter this past September when it released the documentary presentation Wonders of the Arctic on Blu-ray/Digital combo pack and 4KUHD/BD 3D/Blu-ray/digital expanded combo pack. Yet another of the company’s recent IMAX offerings, the 40-minute-plus program is an interesting look at life in the Arctic that is worth at least one watch. That is due in part to its central topic. That will be discussed shortly. The information provided within the program is just as important to note in examining the program’s presentation as its central topic. That will be discussed later. As with Shout! Factory’s other IMAX offerings, this program’s cinematography stands proudly as one of the program’s most outstanding elements. Each element is important in its own right to the program’s presentation. All things considered, they make Wonders of the Arctic a program that students and lovers of the biological and ecological sciences will appreciate. Wonders of the Arctic is a program that any student and lover of the biological and ecological sciences will appreciate. They will agree it is a program that is worth at least one watch. That statement is supported in part through the program’s central topic. The topic in question is that of life in the Arctic. It presents the interaction and intersection of humans and wildlife in one of the planet’s coldest regions. At the same time, it also points out the delicate balance that humans and animals share in that area. What is so important about this is that while it points out that balance, those behind the program never allow the message of that balance become preachy. That is important to note because at least two other offerings in the company’s IMAX series – The Last Reef: Cities Beneath The Sea and Humpback Whales – have both been blatantly preachy in nature. This program however, walks that line but never allows itself to fall in with those counterparts. That being the case, it does its own part to ensure audiences’ engagement at least to a point. It is just one of the elements that should be noted in examining this program’s presentation. The information presented within the program is just as important to note as the program’s central topic. The central topic presented in Wonders of the Arctic is a key piece of the program’s overall presentation. That is because those behind the program never allow it to become too much of an activist film, unlike some of its counterparts, as it presents the intersection of human and animal life in one of the planet’s coldest places. That is just one piece of the program that should be noted here. The information that is provided throughout the program is just as important to note as its central topic. One of the most interesting pieces of information presented in this program focuses on the ways in which the Inuit people survive in the region. Audiences will be interested to see that they keep alive the tradition of using every part of the animals they hunt. That includes animals both above and below the ice. Touching on the matter of the information’s balance between informational and influential, narrator Victor Garber discusses the changes in the region’s ice flows and the impact those changes are having on the area at one point. This is one example of the information presented here consciously effectively walking that line. There is also mention of the research conducted on the area to study how much the region has changed over time. Even this mention manages to effectively balance information and influence. It is one more example, too of the importance of the presented information to the program’s whole. There is plenty of other information that audiences will appreciate just as much. All things considered, the information presented throughout Wonders of the Arctic clearly proves to be just as important to the program’s presentation as its central topic, and is just one more of the program’s key elements. The program’s cinematography is just as important as its topic and associated information if not even more important than those elements combined. The topic at the heart of Wonders of the Arctic and its associated information are both key pieces of the program’s overall presentation. The two in themselves do plenty to keep viewers entertained. When they are set against one another, they ensure even more, audiences’ engagement. While both elements play their own important part in the program’s whole, they are just two of the program’s key elements. The program’s cinematography is just as important to note in examining its presentation as the previously discussed elements. Audiences will marvel at the aerial shots over the mountainous parts of the region just as much as they will the footage recorded in the area’s icy waters. Viewers will enjoy just as much getting to ride along on sled dog rides across the icy terrain. These are just some of the ways in which the program’s cinematography stands out. There is so much more for audiences to enjoy just from the visual angle here. When that outstanding overall cinematography is set alongside the program’s largely focused topic and equally engaging information, they make the program overall a work that, again, students and lovers of the biological and ecological sciences will appreciate. The end is here. 2016 officially ends tonight. So with the year’s end here, Phil’s Picks has one last year-ender before the clock strikes midnight and we welcome 2017. That final list of the year is the year’s top new movies overall. It includes both independent releases and theatrical releases. 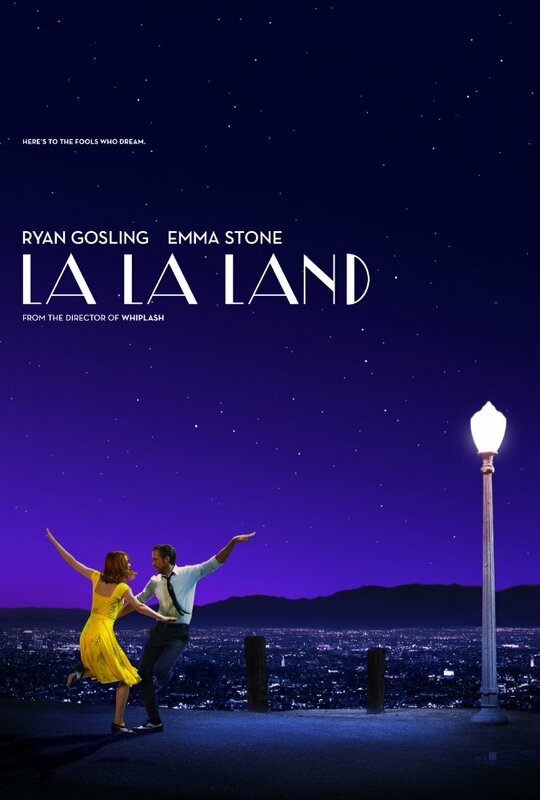 One of the biggest surprises of the year was La La Land. It is a breath of fresh air in a field of films overly crowded by prequels, sequels and remakes. Little Men, another independent offering, is also in this list. Sure, its premise isn’t overly new. But at the same time, audiences don’t see a lot of movies with its premise about two young men becoming friends while their parents fight. It sends a powerful message. On the bigger stage, Dr. Strange and Star Wars: Rogue One are on the list along with Jason Bourne. As a final reminder, the list includes both the Top 10 movie picks from Phil’s Picks plus five honorable mention titles for a total of 15 movies. That being said, here for you is Phil’s Picks 2016 Top 10 New Movies list. Late this summer Dragonforce released its first-ever hits compilation for the masses in the form of Killer Elite: The Hits, The Highs, The Vids. The British power metal outfit’s first-ever attempt at a hits compilation is in fact a “killer” collection. That is due in part to its featured songs. That will be discussed shortly. Just as important to note as the songs in this compilation is the way in which the songs are presented. Those who haven’t yet picked up this record don’t understand right now, so it will be discussed later. Last and most definitely not least of note in this collection’s presentation is its bonus DVD. It rounds out the collection’s most important elements. Each element is clearly important in its own right to the collection’s overall presentation. 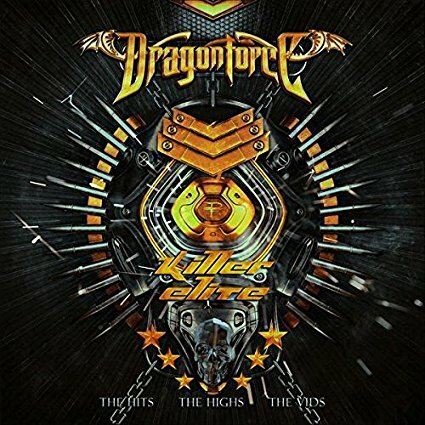 All things considered, Killer Elite: The Hits, The Highs, The Vids proves to in fact be a killer first effort at a hits collection for Dragonforce. Dragonforce’s first attempt lives up to its title. It is in fact a killer collection. That is due in no small part to the record’s featured songs. The 2-disc, 22-song collection pulls songs from each of its six current full-length studio recordings. The most heavily represented of those albums is the band’s 2004 sophomore record Sonic Firestorm. ‘My Spirit Will Go On’ is pulled from that album as are ‘Fury of the Storm,’ ‘Fields of Despair,’ ‘Dawn Over A New World,’ and ‘Soldiers of the Wasteland.’ Valley of the Damned, the band’s 2003 debut album is the next most heavily represented of the band’s albums here. It is represented by four songs – ‘Black Fire,’ ‘Valley of the Damned,’ ‘Starfire’ and ‘Heart of a Dragon.’ The Power Within (2012) also sees four of its songs included in this collection while Inhuman Rampage (2006), Ultra Beatdown (2008) and Maximum Overload (2014) are each represented by three songs. What all of this says to the band’s fans is not only is this a thorough collection of Dragonforce’s songs, but it is also a relatively well-balanced collection of songs, too. This is just one of the collection’s most important elements. The presentation of the songs themselves is just as important to note as the songs themselves. The songs that make up the body of Killer Elite: The Hits, The Highs, The Vids are collectively the foundation for the collection’s presentation. They are pulled from all six of the band’s current full-length studio recordings. What’s more, when one examines them closely, the full sequencing balances the albums’ representations relatively well. That is just one of the collection’s most important elements. The songs’ presentation is another key piece of the record’s presentation. This might sound confusing to some. To clarify it, not all of the songs that are presented in this album are studio tracks, even though they are songs pulled from the band’s albums. Some of the songs featured in this record are live performances of said songs instead of being purely studio songs and others are remastered versions of said songs, meaning they sound even better than the songs’ original recordings. In other words, this hits collection isn’t just a random grouping of singles. That is a breath of fresh air. It is a career-spanning collection that also takes audiences into the band’s live shows even if only a little bit through its 2-CD set. This enhances the overall listening experience for fans even more. Of course, the band goes above and beyond providing not only a listening experience for fans in its first-ever hits collection. It also included a DVD featuring a handful of music videos in the record’s extended 2-CD/DVD set. That DVD rounds out the record’s most important elements. The songs presented in Dragonforce’s first-ever hits collection and the manner in which they are presented are both key elements to this collection’s presentation. While both elements are clearly important in their own way to the collection’s presentation, they are not its only key elements. Included along with the record’s 2-disc, 22-song audio collection – which spans two and a half hours – is a bonus DVD featuring eight music videos from the band. It is especially encouraged for fans who might be unfamiliar with the band’s videos as a way to introduce them to the band’s music without having to go through YouTube or other outlets. For the band’s more seasoned fans, it proves to be just as enjoyable while they wait for the band to release its next album and accompanying videos. When this is considered along with the collection’s songs and their presentation, the end result is a collection that is, again, a killer first attempt at a hits collection from Dragonforce. PBS Distribution is taking audiences back in time in another episode of its hit history-based series Secrets of The Dead as it opens the new year. The episode, After Stonehenge, is an interesting new look at life in one early English settlement and how the settlement met its end. That central topic is just one of the program’s key elements. The information provided throughout the program is just as important to note as the program’s central topic. The program’s audio options may not seem overly important in the grand scheme of things. But in discussing those options, audiences will see that those options are just as important to note here as the program’s main topic and associated information. Each element is important in its own way. 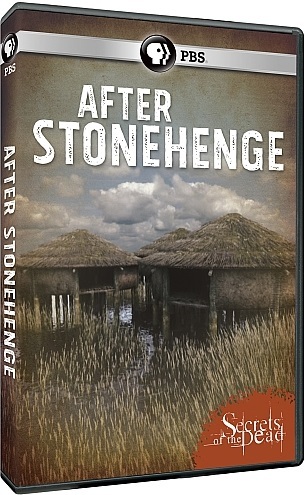 All things considered, they make After Stonehenge a program that students and lovers of archaeology and anthropology will want to see time “after” time. Secrets of the Dead: After Stonehenge is a program that students and lovers of archaeology and anthropology alike will appreciate. That is due in no small part to the program’s central topic. The topic in question is that of a Bronze Age settlement discovered in England in 2011. The settlement, which was discovered at a location called Must Farm, was 3,000 years old and stood on stilts in what was then marshland. Audiences will appreciate in watching this program that while it is titled After Stonehenge, the program’s only mention of Stonehenge comes early in the program. After that point, there is no mention of the ancient structure to be heard or seen. This is so important to note because there have been some programs put out by PBS that, despite their titles, have not exactly followed the expected themes of those titles. This program isn’t one of those cases. It focuses solely on the settlement and its role in life in mainland Europe during the time in which its inhabitants lived there. Those behind the program are to be commended for keeping that focus. It ensures in its own right audiences’ maintained engagement from the beginning to end of the roughly hour-long program. It is of course just one of the key elements to note in examining this episode of Secrets of the Dead. The information that is presented throughout the program is just as important to note as the program’s central topic. The central topic presented in Secrets of the Dead: After Stonehenge is in its own right a key piece of this program’s whole presentation. That is because those behind the program never allow its focus to stray. Sadly some of PBS’ programs have been guilty of allowing that to happening. Though, that luckily didn’t happen here. It’s just one of the elements that makes this episode of SOTD such an interesting watch. The information provided throughout the program is key in its own right to the program’s presentation. One of the most interesting pieces of information provided within the program is the revelation that despite their location, the inhabitants of Must Farm were not solitary people. That is made clear through the discovery of bronze swords and other items that were obviously used for defense. The fact that the settlement was surrounded by a palisade makes even clearer the settlement’s inhabitants had reason to be concerned for their safety. This is despite apparently being a mostly peaceful people who thrived on textiles and trade. Speaking of trade, audiences also learn through the program that the settlement’s inhabitants’ trade routes might have reached as far inland as Italy and Germany. That is proven through the presentation of glass beads made with items not common to Must Farm at the time. The bronze stellar mask crafted by the settlement’s inhabitants shows just as much the group’s influence. It presents a precise measurement of the stars used to help determine harvesting and planting times; times that would have applied more to mainland inhabitants than the inhabitants of Must Farm. It is truly an incredible presentation and just one more piece of information presented throughout the program that proves the importance of the program’s information to its overall presentation. There is much more that audiences will appreciate than just this including an examination of how the settlement’s end might have come not externally but possibly internally and by accident no less. All things considered, the information presented throughout this program proves to be just as important as the program’s central topic if not more important and is just one more important piece of the program’s whole. The program’s audio options play their own integral part in the program’s presentation, too believe it or not. The central topic of SOTD: After Stonehenge and its expansive information are both important pieces of the program’s overall presentation. They are just two of its key elements, too. The audio options presented in the program’s new home release are important in their own right to its overall presentation. The audio options presented here include not just the standard subtitles for the hard of hearing but also the option of audio description for the blind, too. This is something that has become increasingly common for PBS’ programs both on DVD and on TV throughout 2016. It might not seem overly important on the surface. But in the bigger picture of things, it shows an increased attention to the ADA by the people at PBS, and allows an even broader audience enjoy the program. Audiences familiar with other older programs released by PBS Distribution don’t include the audio option for the blind community. So to see this option included in the program’s home release enhances its viewing experience and makes it just as laudable. Again, it seems like a minor detail. But in the bigger picture of the program’s overall presentation in its home release, it is a huge piece of the program’s whole. When it is set alongside the focus presented in the program’s main topic and interesting information, the whole of this program proves again to be one that students and lovers of archaeology and anthropology will appreciate. The time has come. Today is New Year’s Eve eve. That means 2016 is nearly in the books. With that year right at it’s end, it’s time for the last two of this year’s Phil’s Picks best of lists. Rounding out this year’s lists are the year’s top new albums overall and the year’s top new overall movies. The year’s top new albums list is up first. It was not an easy list to assemble either as there were so many stand out records released from across the musical universe’s many genres. This year’s top albums list is represented by music from the jazz community, the world of children’s music, rock, blues, and even reggae in the form of Michael Franti and Spearhead’s new album Soulrocker. As with every previous Phil’s Picks list, this list features Phil’s Picks’ top 10 new titles plus five honorable mention titles, bringing the total count to 15. Having noted that here for you is Phil’s Picks 2016 Top 10 new albums. Guitarist Pete Townshend is best known for his role in the legendary rock band The Who. The British band is one of its country’s greatest rock acts next to The Beatles, Deep Purple, Judas Priest and a select group of others. While Townshend is best known for his work as a member of The Who, he also had a relatively successful solo career. This past September Eagle Rock Entertainment released a rare performance from Townshend’s solo career in the form of Face The Face. This recording is an important artifact of sorts from Townshend’s career, and thus, a piece that fans of The Who will appreciate just as much as Townshend’s fans. That is due in part to the recording’s companion booklet. It will be discussed shortly. The recording’s set list is just as important to note in examining its presentation as its set list. It will be discussed later. The concert’s production values round out its most important elements. Each element is important in its own right to the recording’s overall presentation. All things considered, Face the Face proves in the end to be, again, a recording that The Who’s fans will appreciate just as much as Townshend’s fans. Eagle Rock Entertainment’s recently released performance from classic performance from Pete Townshend and Deep End is a recording that fans of The Who will appreciate just as much as Pete Townshend fans. It is a very rare live recording from the two acts, as audiences will learn in the recording’s companion booklet. Speaking of the booklet, it sits at the center of the recording’s presentation. The booklet presents an in-depth history of how Townshend and Deep End came to work together thanks to writer Matt Kent. It also notes that the concert presented here almost didn’t happen yet somehow miraculously did happen. That story in itself makes the recording’s companion booklet well worth the read. As if that isn’t enough, audiences will also learn that Prince’s beloved album Purple Rain was at least one influence behind Townshend’s solo record White City: A Novel. Townshend was touring in support of that record when this concert was recorded. That, too is noted in the booklet along with a thorough outlining of the concert’s set list, another of the recording’s key elements. Before touching on that subject, one would be remiss to ignore all of the other key information that Kent includes in the recording’s liner notes. Between the material noted here and that material not noted here, the information Kent provides audiences in the recording’s companion booklet will engage audiences just as much as the concert’s set list. Speaking, again, of the show’s set list, it is the next most important piece of the recording’s overall presentation to discuss. The booklet included in Eagle Rock Entertainment’s Pete Townshend/Deep End live recording Face The Face is a key piece of the recording’s overall presentation. It isn’t the first time that a live recording’s booklet has proven to be the recording’s most important element. At the same time, though, it is very rare for any recording’s booklet, live or otherwise, to be so critical to its presentation. Face The Face’s companion booklet is undeniably important to its presentation, but it is also not the recording’s only key element. The concert’s set list is just as important to note in examining its overall presentation as its companion booklet. The show’s set list features classics from The Who, songs from White City and hits from other Townshend solo records and even some covers among other songs. Kent outlines the concert’s set list in relative depth, again, in the recording’s companion booklet. This, again, shows the importance of the recording’s companion booklet. That relatively thorough outline also serves as a solid starting point for a musical history lesson of sorts; not just a history lesson on Townshend’s arrangements but in music history overall. Getting back on the subject at hand, the set list presented in Face to Face presents a wide swath of material and talent on the part of both Townshend and the members of Deep End, among whom included Pink Floyd guitarist David Gilmour. Considering the breadth of material and talent presented throughout the concert’s set list, it becomes clear why the set list is just as important to Face The Face’s overall presentation as the recording’s companion booklet. It still is not the last element to note in examining this recording. The concert’s production values round out its most important elements. Matt Kent’s liner notes included in Face The Face’s companion booklet and the recording’s set list are both key pieces of the recording’s overall presentation. The booklet expertly sets up the concert experience, preparing audiences for the concert. The set list is just as important to the recording as its booklet because of the wide array of sources for the featured songs. Kent outlines the show’s set list in relative depth in his liner notes, adding even more to the concert’s viewing experience. Keeping all of that in mind, both elements are clearly important pieces to the recording’s whole. They are only two-thirds of the recording’s whole that should be noted. Its production values are just as important to note here as its companion booklet and set list. The concert looks and sounds far different than concerts recorded today. For lack of better wording, the concert’s video and audio are rough. The thing is that said rough presentation creates a certain appreciation for how far recording technology has come since 1986 (the year when this concert was originally recorded). Between the sometimes airy sound in the audio mix and the at times equally uneasy cuts between cameras, watching the concert is an interesting experience, especially for those who grew up in the 1980s. Again, it reminds audiences of how far recording tech has come since the days when this concert was captured. So really, it presents its own history lesson of sorts, too. Keeping that in mind, the recording’s production values are just as important to its presentation as its companion booklet and set list. Each element is important in its own way to the recording’s presentation. All things considered, Face The Face proves in the end to be a recording that, again, Pete Townshend’s fans will appreciate just as much as fans of The Who. It supports even more this critic’s statement that Eagle Rock Entertainment is the leading name in live recordings.